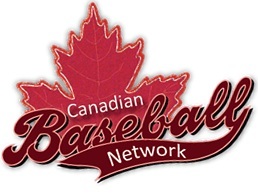 If you're a semi-regular reader of this blog, you know I frequently mention Canadian associations to the Red Sox. Whether it's Jason Bay scoring a playoff series winning run, Eric Gagne closing out a Series win, or Kevin Youkilis hitting his first career home run in Toronto, there have been many Canadian connections to the Red Sox recently. But connections specific to Alberta are a bit rarer. Calgarian Chris Reitsma was drafted in the 1st round, and a couple of years ago, the Sox drafted another player who played High School ball in the province, but otherwise there hasn't been a lot linking the Red Sox directly to Alberta. But the other day as I was flipping through some old baseball cards, I came across a Kevin Millar and a Ryan Dempster (left) card in Calgary Cannons uniforms. So that got me thinking, what other Red Sox (players and coaches) called Alberta home on the way to The Show (or were sent down after a playing in the Bigs)? I did some quick research and came up with a fairly lengthy list. From all-stars who were integral part of Red Sox teams, to part time players, who just made a brief stop in Fenway. My research was not exhaustive so I may have missed someone, and if so, please let me know in the comments below and I'll amend the post. Without further ado, here is the list of former (and current!) Red Sox who played in Alberta. I counted over 75 players including a Hall of Famer and several all-stars, and that's without any of these teams being affiliated to us!